If you had asked me a year ago if my youngest son liked to read, my answer would have been very different. He enjoyed reading picture books and spending time having chapter books read to him. Over the summer, something clicked with JSL and he fell in love with reading chapter books on his own. He always travels with a book in his hand. JSL has devoured many series of books over the months. There was one that his best buddy told him about while they were at camp that he was eager to read. For Chanukah, I was able to get the first five books of The Notebook of Doom series by Troy Cummings. I watched as JSL started the series and kept reading one book after the other. I would hear him laughing and he would complain when he had to get out of the car and stop reading. These Scholastic books are part of their Branches series for children. They are illustrated chapter books for young readers. The books are geared towards kids in first to third grade and written on a second grade level. 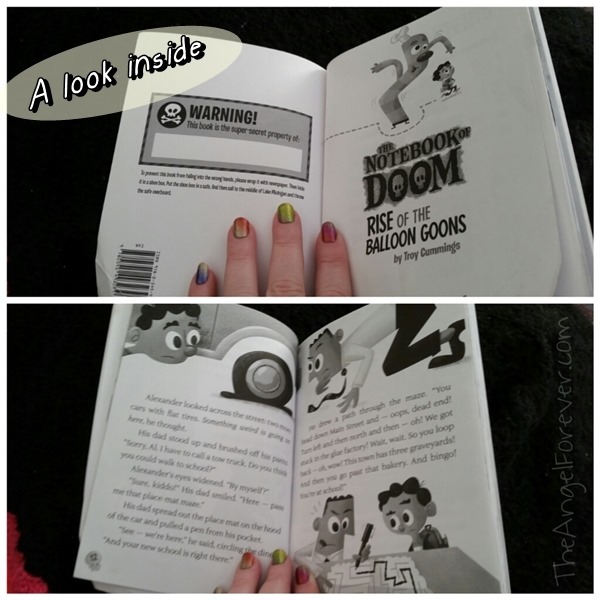 One afternoon while the boys were at school, I grabbed Book 1 Rise of the Balloon Goons to read. I immediately understood the appeal of the books. You meet Alexander Bopp and follow along as he gets to know Stermont. Something in this new town isn’t quite right and Alexander finds a notebook that may have some answers. The illustrations add a fun touch to the story to help readers to bring the charters and monsters to life. We keep turning the pages because we want to know more and find out what these balloon goons are about. I applaud Scholastic for publishing more books to capture the hearts of young elementary readers. These books will not only appeal to young boys, but girls alike. The books by Troy Cummings will make children want to continue along with Alexander to figure out what truly is going on with the notebook filled with drawings. I highly recommend these books to children that may be getting ready to read on their own or reluctant readers. 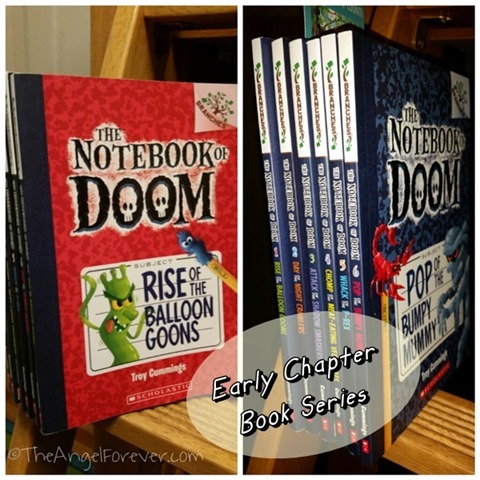 JSL definitely wants to check out more of the Branches books because he loves The Notebook of Doom and Eerie Elementary. What books do you recommend for young elementary children breaking into more independent chapter book reading? As always, Tuesday Tales is all about sharing our love of books. Please let me know what you have read recently. Be sure to link up to your book posts in the comments below. Include something you read on your own, with a child, or someone else. I recommend finding books based on their likes. My kids love Disney and there are now Junior novels with pictures/stickers that are based on their favorite movies. Reading is so important so it is all about trial and error!